The first EA-18G Growler electronic attack aircraft for the Royal Australian Air Force has been welcomed on Australian soil. Flying into the Australian International Airshow at Avalon from Naval Air Station Whidbey Island in the US, the Growlers are a potent and technologically advanced new capability for the Australian Defence Force. Minister for Defence Senator Marise Payne was at Avalon to welcome the electronic attack aircraft, saying the Growler was a true force-multiplier. "The Growler can disrupt military electronic systems, such as radars, to protect personnel and improve situational awareness," Minister Payne said. 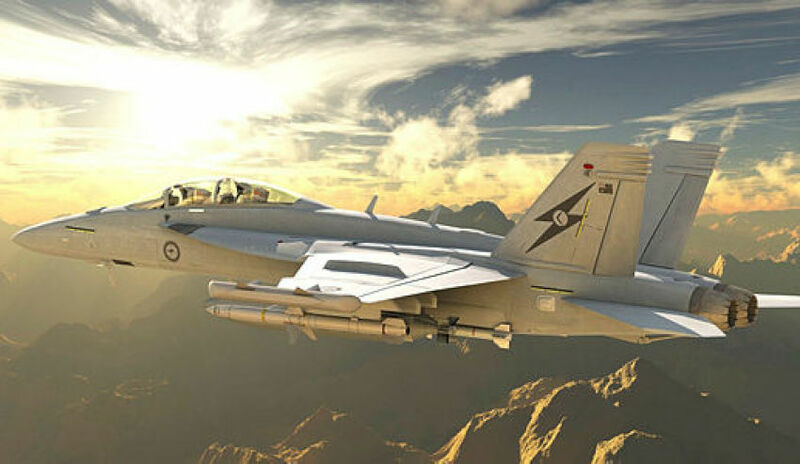 "Australia is the only country outside the United States flying the EA-18G Growler, and its arrival is a significant leap forward in Australia’s joint electronic warfare capability and introduces a dedicated electronic attack option." The Chief of Air Force, Air Marshal Leo Davies, said the Growler was a vital part of the RAAF’s evolution to a future, fifth-generation air force. "The EA-18G Growler will operate as part of our networked and integrated force, capable of sharing electronic intelligence, surveillance and reconnaissance data with other aircraft, as well as with the Army and Navy," AIRMSHL Davies said. "The Growler is powerful and flexible. It can undertake a range of non-kinetic tasks, ranging from jamming, to blocking radar displays, and suppressing an adversary’s air defence system." 12 EA-18G Growlers have been purchased by Australia and are due to arrive at RAAF Base Amberley in Queensland by the middle of 2017. It was also announced by Minister Payne that Australia will partner with the US to develop a next-generation radar and radio jammer for the Growler. "This is a $250 million investment by the Turnbull government that will future proof the Growler’s capability," said Minister Payne. "As this is a rapidly evolving area we will work in partnership with the United States Navy to develop the next generation jamming capability, which will ensure that these aircraft remain at the technological forefront throughout their service life."